Copyright @ 1990 by Mary Oliver. First published in House of Light, Beacon Press. 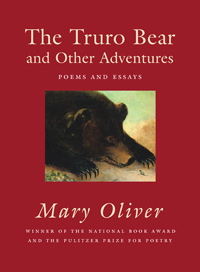 Reprinted in The Truro Bear and Other Adventures: Poems and Essays, Beacon Press. Watch Mary Oliver reading “Percy (One)” and “The Summer Day” at the 2010 Women’s Conference.